BAH or Bahrain International Airport is the gateway of the Kingdom of Bahrain to the rest of the world. I have visited this airport from my Middle East travel. Too bad that I only got to explore this nice hub for 15 minutes only since it was just a brief layover in Bahrain before my next flight going to another Middle East country. Now, BAH, which is the IATA code of the airport, is the primary hub for Gulf Air which is the Bahraini flag carrier airline. So far with my short stay there, I got to peek only the terminals, stores, and gates when I passed by those areas on my way to my next flight. When I disembarked from the plane, I went directly to this gate and noticed the signage, GCC and Other Passports. So, I automatically thought what does GCC mean. Well, GCC means Gulf Cooperation Council which is a political and economic union of Arab states located in the Arabian Peninsula and bordering the Persian Gulf. These Arab states or countries include Saudi Arabia, Qatar, UAE, Oman, Bahrain and Kuwait. Yemen is included from time to time, but is not officially a member. Jordan and Morocco have been invited, too, to join the council. 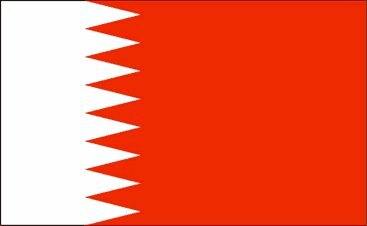 Nationals of these countries do not need a visa to enter Kingdom of Bahrain, hence, that might be the reason that they specify GCC passport. Passing through from departure gate to other terminal gate, I got to see these places. Bahrain International Airport can also be reached thru King Fahd Causeway which connects Saudi Arabia to Bahrain. Different airline carriers such as Kuwaiti Airlines, Gulf Air, and Etihad Airways offer flights from DMM/ King Fahd International Airport in Kingdom of Saudi Arabia to BAH/ Bahrain International Airport thru SABTCO Bus. I haven’t tried this yet but I’m looking forward to it if I’ll be given an opportunity to travel like this. Next IATA Code post will be the location of my final destination.